I've been following the " Build your First application with Cache " Learning path and followed to steps for installing the Atelier eclipse plugin. It appears that the repository for the plugin is missing the "content.xml" file. 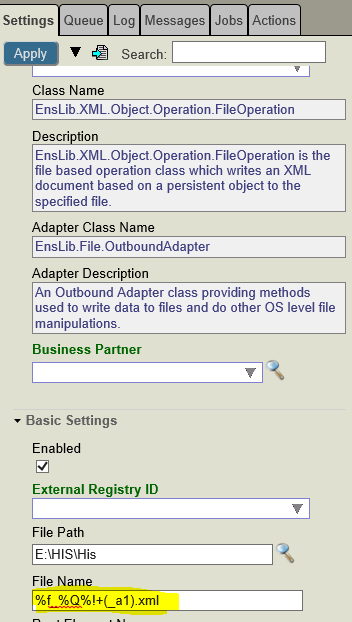 Atelier 1.2 as well 1.3 throws java.lang.NullPointerException when opening a class file. Never mind how to open the class file, 1) witin project explorer 2) atelier explorer 3) open resources 4) switcing between tabs (open files) etc..., I get these errors every time. Never seen this problem in Atelier 1.1. Do I miss something within the Eclipse environment? I have previously setup an Atelier project and it was running. I recently received the 1.3 release. 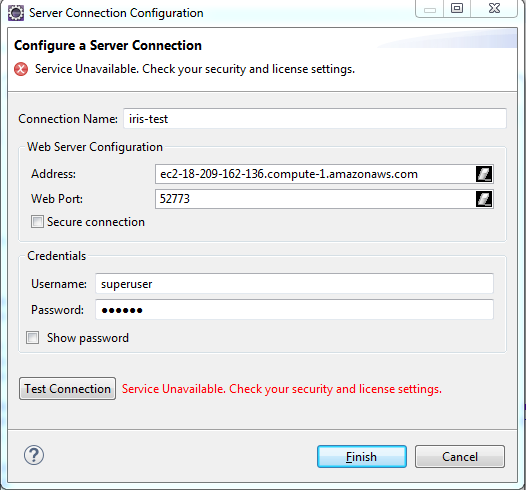 Now, I am unable to click on the previously established connection to my Cache server (as seen in the Serve Explorer. I see the connection and the little arrow (implying that there is a hierarchy of items underneath). But, clicking that arrow opens nothing. Ultimately, I was trying to access files on the server so that I could add some new ones to my existing Atelier Project. Has anyone successfully executed s (INTSFREEZE and INSTATHAW) scripts in atelier tool? We are having issues with FREEZE script whereas Thaw works fine. Interested in testing the Eclipse / Atelier on my Mac with 10.13.6 High Sierra, I installed both and had a go at connecting to my Cache Server. It offers Address & Port and login ID and Password. No matter what I gave it, it cannot connect, saying Server not found. 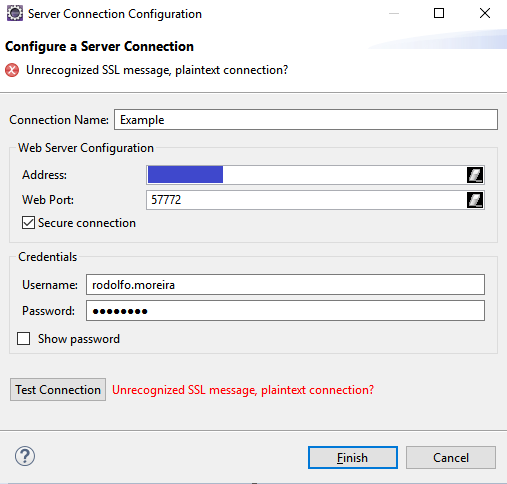 The Server is a virtual Server running Windows 12 Server on a dedicated IP address, to which I can connect correctly using Remote Desktop, I can Ping the IP so all looks good, except Eclipse cannot find it. i'm getting below error Message. /testv1/test.csp was saved locally but could not be saved remotely. test.csp is saved locally but could not be saved remotely. Reason: /testv1/test.csp was saved locally but could not be saved remotely. i'm using MacOS with Eclipse Atelier. If i use base csp/<namespace> web application it not throw any error. Please share your idea to resolve. it is possible to convert a csv file to json file? I want to stream json files and output the data as it comes in from the files. So my files are "csv" type and I want to convert these files to "json" type. What should I add to convert it to "json" and read it again?